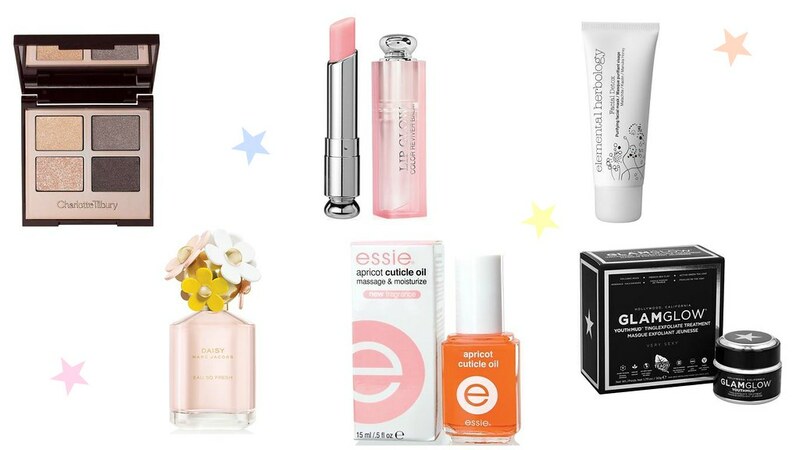 Being a beauty blogger primarily there is an abundance of beauty products that are on my wish list. These are all products I’d love to be able to buy if money was no object however alas that is sadly not an option for me at the moment so they will continue to be on my wish list until I can knock them off one by one over time. Starting off with Charlotte Tilbury I have had my eye on ‘The Uptown Girl‘ palette ever since the assistant at the counter mentioned this one in particular to me back in June. It is a stunning quad made up of champagne and smoky grey hues which are effortlessly complementary to one another, this along with one of the blushers are both products that I’m considering buying in the coming months. Marc Jacobs fragrances are not new to this blog as I have mentioned them in wish lists before however I still don’t own one. Of all the scents that are offer it is Daisy Eau So Fresh that I always come back to, this has and will continue to be my favourite for the foreseeable future. Lip products are undoubtedly one of my favourite aspects of beauty therefore with the promise of a product that adapts to your own tone of lips I cannot lie that I’m more than intrigued. The Dior Lip Glow sounds truly lovely and incredibly moisturising to boot so naturally I cannot wait to try one of these out for myself at some point. My nails and cuticles are forever the bane of my life, particularly my cuticles which often look quite sore and scuffed (my job does not help) however after reading several really quite promising reviews I have decided that the next cuticle oil I will purchase will be the Essie Apricot Oil; I hear it smells really nice too. The promise of a skincare product that aims to detox the skin will without doubt always be something that captures my attention. The Elemental Herbology Facial Purifying Detox Mask is a product that I haven’t seen discussed about that much however that’s not to say it won’t be a good mask to use. I think it would be nice to test this out and see if it helps to clear my complexion which at this time of year can become a bit congested due to the heat. Over the last few weeks I have seen the Glam Glow Mud Mask cropping up again which ultimately has made me realise just how much I would like to try it. Again I’m back with facial masks which are without question some of my favourite skincare products to use; they’re fun and extremely satisfying too!